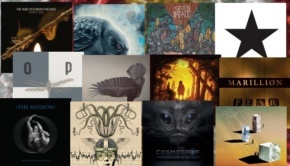 Progressive music is profoundly existential. Not only does it capture the spirit of our time, it also resonates with crystal clarity in the generations who live in and through those times. For many of us prog, in particular, is a faithful companion, an ever present soundtrack comforting and uplifting us through thick and thin, challenging and confronting us through the highs and lows, always our friend and our refuge in the good times and the bad. 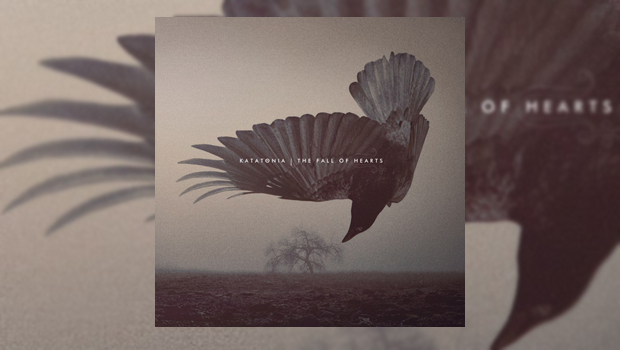 Katatonia’s tenth studio album The Fall of Hearts ruthlessly pierces all the electronic noise, the mindless (and meaningless) social chatter and faux angsts of life in the 21st century to expose the brooding melancholia and trembling uncertainty which underpins modern living. Life is brief, nothing is certain and the older we get, the closer death’s shadow extends towards us. As individuals and as a species, night is falling. With the “soldiers of sorrow” leading us into such desperately bleak wastelands it will perhaps come as a surprise when I say this strikingly contemporary release is possibly their finest and without doubt most progressive album to date. 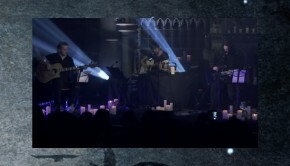 The grainy power and muscular confidence of Katatonia’s metal origins still serve as the bedrock of the band’s sound, but the melancholic atmosphere is now deeply infused with an increased emotional and melodic subtlety, highlighted with delicate rich harmonies and a much more diverse array of vivid and dynamic textures. Founder and vocalist Jonas Renske significantly describes the new album as “our pole star” and considers that the follow up to 2012’s widely admired Dead End Kings marks a quite deliberate and more “adventurous” change in direction from what has gone before. 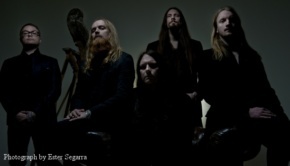 Similarly co-founder and guitarist Anders Nyström views the previous release as playing “a leading role in where we could potentially take our sound” and firmly believes it represents a more progressive turn in Katatonia’s development. There is good reason for Nyström to be pleased in seeing “where it has taken us musically”. Produced by Renske and Nyström and joined for the first time by new drummer Daniel ‘Mojjo’ Moilanen and multi-instrumentalist Roger Öjersson (Tiamat) on guitars, early reactions are drawing strong and favourable comparisons with Opeth. 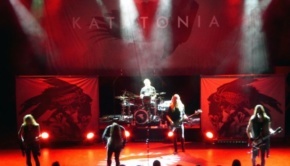 And whilst I agree the comparisons are certainly there to be drawn, I also think they do a huge disservice to both Katatonia themselves as well as the new album if they are allowed to stand beyond anything more than a cursory inspection. The Fall of Hearts injects dramatic novelty alongside a more elegant creativity into the moods being offered and conveyed within each track. The message may well be desolate and the atmosphere at times bordering on overwhelming but there is also hope, sensitivity and even an edge of comfort which peers through the darkness. This is no bludgeoning voyage of despair into annihilation and hopelessness. The album is actually a critically intelligent and perceptively refined testament to the collective bonds we share in common, the enriching comfort we can take and offer to each other and the joy that can be found in and taken from the present moment. This subtle and nuanced exploration of the present explains the diversity and richness of the tracks you will encounter. The seven minute opening forlorn lament that is Takeover is a glorious appetizer for the various landscapes ahead, passing through the pulsating, vibrant and vaguely haunting Serein, the beautifully sorrowful Old Heart Falls, the poetic and thoughtful Decima, the powerful and moody Sanction, the delightful but misleadingly buoyant Last Song Before the Fade and the alluring The Night Subscriber before finally coming to rest with the throbbing and disquieting Passer. Each track has a distinctive character and voice of its own and this is, ultimately, what makes The Fall of Hearts such a powerful, gripping and surprisingly delightful album. It is lean, mean but full of intense heart and profound feeling. The progressive voice of melancholic hope will certainly resonate with many in these present times – and quite deservedly so. It is a fine album and worthy listen which pulls no punches.